NYC, 04/08/2019, 11:00AM. 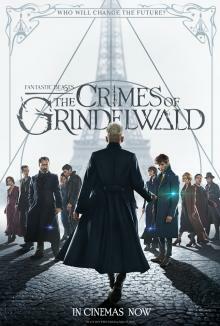 Fantastic Beasts: The Crimes of Grindelwald (2018): Sequel With An Ensemble Cast By J.K. Rowling. 134 min. Director: David Yates. Starring Eddie Redmayne, Jude Law, and Johnny Depp. Fantastic Beasts: The Crimes of Grindelwald was nominated for two awards at the 72nd British Academy Film Awards in the categories of Best Production Design and Best Special Visual Effects.